Parallel 49 was one of the breweries that I really wanted to visit. It seemed like an interesting brewery and one of the only craft breweries in Vancouver that I had heard of before. It was praised by a friend of mine, but in the world of craft beer, like food, it is based on personal interests. 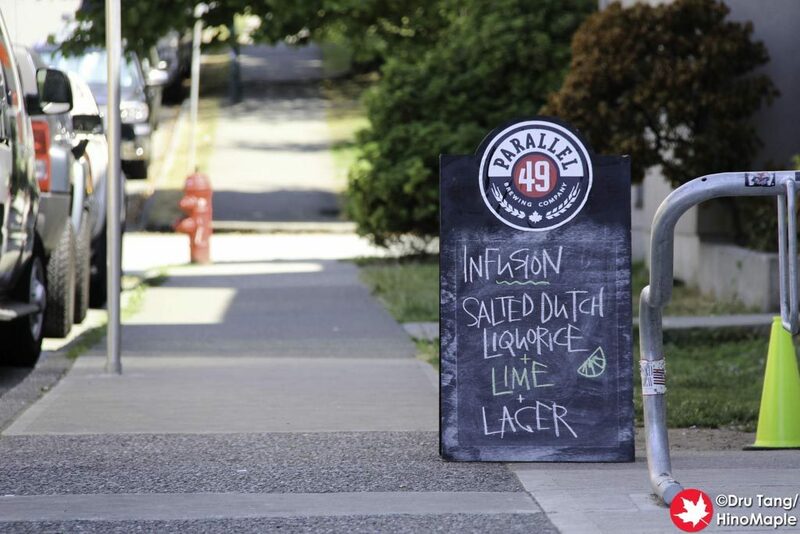 Parallel 49 is across the street from Coal Harbour Brewing and the only taproom on the block. 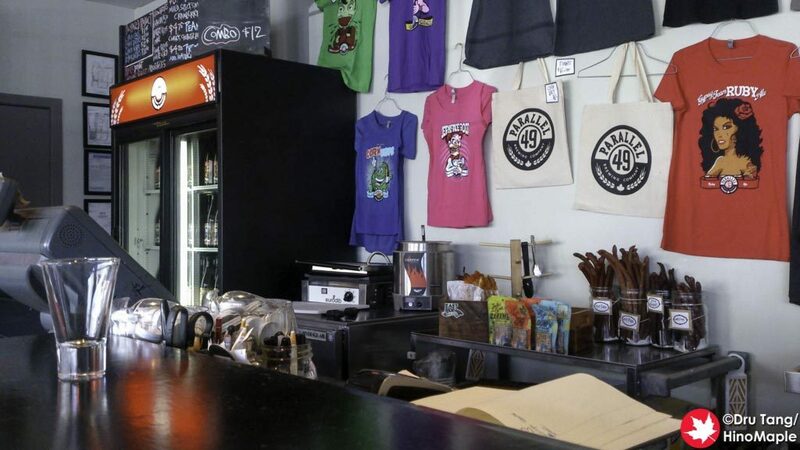 Being part of the East Van group of breweries, Parallel 49 is not far from the other breweries and at most a 5 minute walk to the next taproom. When I went into Parallel 49’s taproom, I was happy to see a nice little place that was pretty busy. 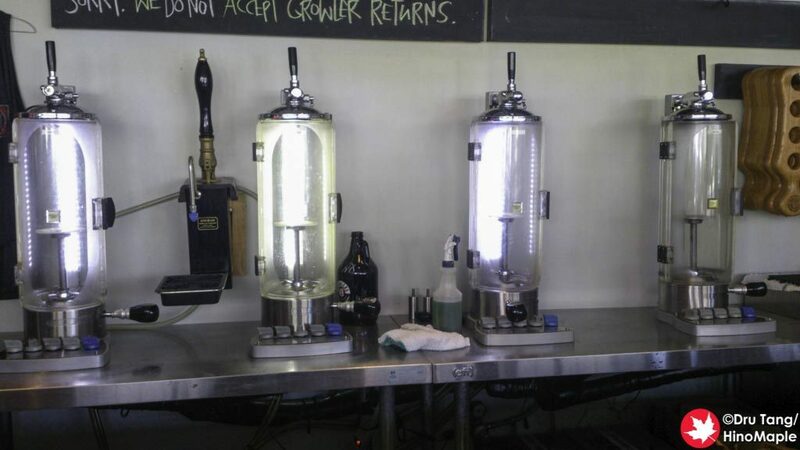 They had a lot of taps, including a Randall that they used for their fresh fruit infused beers. The main thing I didn’t like about Parallel 49 is that they were not very friendly to other people. They had their regulars, whom they seemed to treat very well, and then they had the guests. Sitting at the bar I didn’t feel as if I was as welcomed as the others, but I didn’t feel unwelcome either. It may have been a bit busy at that time but I just didn’t enjoy it as much as I should have. It may also have been my own feeling at the time. The beers at Parallel 49 were good and I wouldn’t hesitate to drink more of their brews. I did try a couple of their beers such as the Filthy Dirty IPA and the Seedspitter Watermelon Wit, and they were both of high quality. 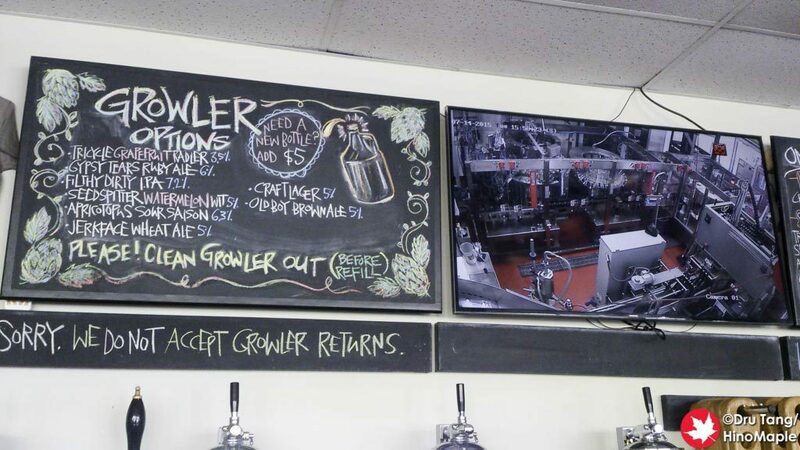 The growler setup was always busy and people just kept coming in and out getting their beers filled. They were definitely busy enough that they probably didn’t have a lot of time to talk with everyone. Parallel 49 is a great company and I would gladly grab their beers again in the future. I have very high standards and I wish I didn’t as I think Parallel 49 is a good place to visit. It may not have been high on my own personal list but don’t let that discourage you from visiting. You just need to go with friends and have a good time enjoying the good beers and not worry about what is happening. 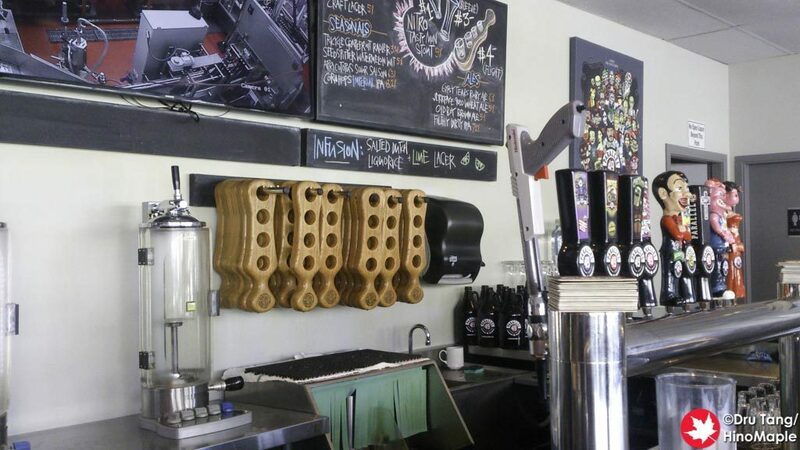 This entry was posted in Canada Food and tagged beer, canada, craft beer, East Van, Parallel 49, Parallel 49 Brewing Company, vancouver by Dru. Bookmark the permalink.